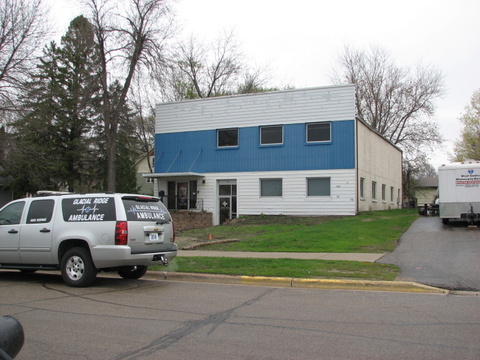 Now the home of Glacial Ridge Health System’s the offices of Emergency services, Homecare and Hospice. This was the site of the first brick school house in Glenwood. 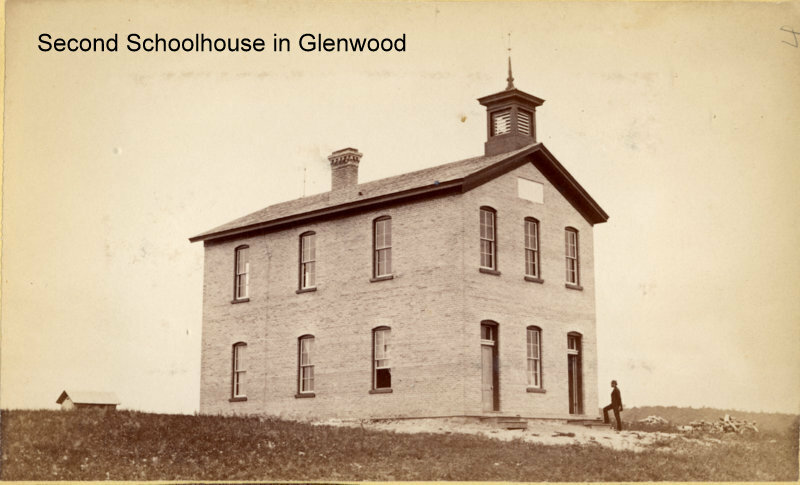 The first school in Glenwood was organized in 1867, in 1868 the first building was constructed just to the east of where the Sacred Hart Rectory stands today. It burned in 1873 and was replaced by a larger brick building on this site. High School classes were first offered here in 1877. 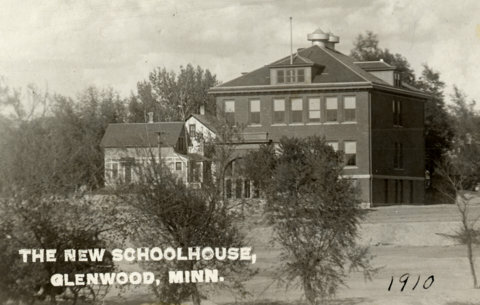 This building was torn down in 1910, it was replaced with a larger school on the same site. This one had 5 classrooms and a gymnasium. 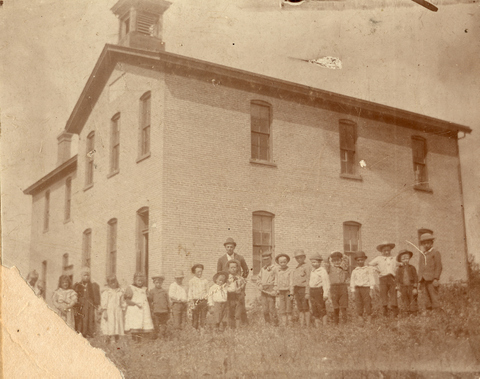 Children in grades 1-6 from the south side of town attended class in this building, while children from the north side attended school in the main complex on the north side until the 1936 building was completed (Now Central Square). This building closed i 1936 From 1936 and was later used by the Veterans of Foreign wars. The building burned down in 1951. The current building was built for the Veterans of Foreign Wars in 1952 and used until the mid 1980s. 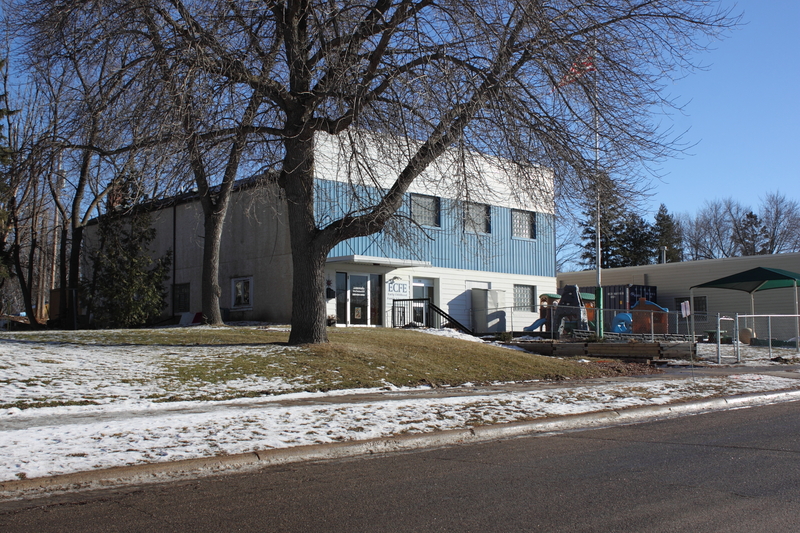 In the early 1990s, it was sold to the Minnewaska School District and used for Early Childhood, preschool and alternative high school classes. The Minnewaska Post no. 724 of the Veterans of Foreign Wars was organized in December 1931. The first officers were: Iver Engebretson, Barney Rosenberg, Herman Senneka, E.C. Wein, E.D. Smith, Ole Berg, Carl Forsberg, Leo Moe, Carl Holden, Harry Ladd, J.A. Leedahl, and William Schluter. This entry was posted in Local History and tagged Early Glenwood, ECFE, Glenwood 150, Glenwood Minnesota, Pope County Historical Society, Pope County History, School House, Veterans of Foreigh Wars, VFW. Bookmark the permalink.